Category Archives: Updates on our Books! Babysitting Nightmares: Shadow Hand by Kat Shepherd is launching into the world TOMORROW, and we are counting the down the minutes! To start off our countdown, we have Anna Redding with an interview of Kat herself! Oh, Friends! Make an appointment for a cozy couch with a comforting blanket and plenty of lighting! When you open the pages of Kat Shepherd’s new Babysitting Nightmares: Shadow Hand, you aren’t going to move until you get to the bottom of this thrilling, spooky and FUN first installment in a new series. 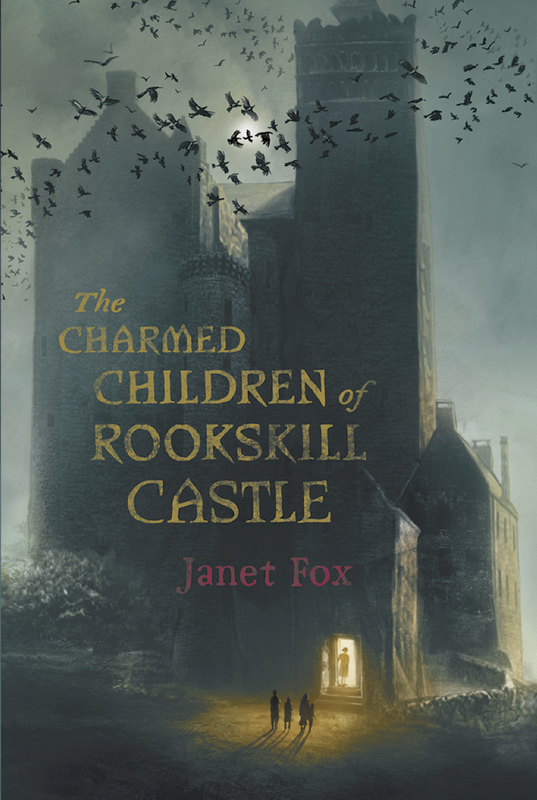 Young readers will delight in all the spooks of sounds heard and shadows seen in their own babysitting. And the rest of us former babysitters will adore the chance to remember that deliciously terrifying period of time that occurs immediately after you put the kids to sleep, but an eternity before the parents come home! 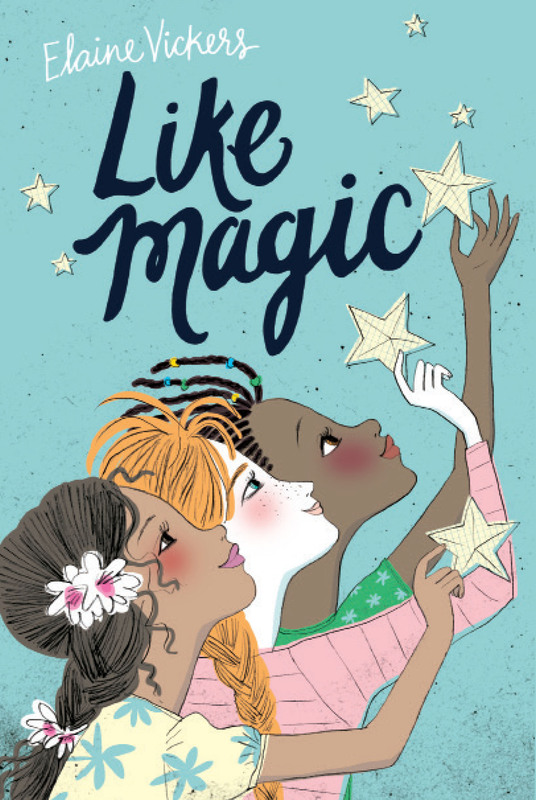 But first, before you lose yourself in this book, I had a chance to interview author dynamo, Kat Sherpherd! Anna– How I wish I had this series back in my own babysitting days! Were you a babysitter? Did you ever get so freaked out or terrified over the smallest sounds? or did you ever encounter a shadowy hand? Kat – I babysat a lot when I was younger, and everything always went swimmingly until I put the kids to bed. I never watched horror movies (still hate the jump-scares! ), but I did read a lot of horror and suspense, so those quiet hours after the kids were asleep and before the parents got home always had my imagination working overtime. The house always seemed too dark, and the TV room was like a little oasis of light I was loathe to leave except to check on the kids. There were definitely a few thunderstorms, but the power never went out. There was one time I heard a late-night knock at the door. That freaked me out, but it turns out it was just my older brothers’ friends coming by to check on me. Anna– One of the aspects of Babysitting Nightmares: Shadow Hand that really struck me is that you really nail the fun of getting spooked while maintaining the razor edge tension that comes with a good ole fashioned scary read. By the end of the first chapter, you have us. Creaks, sounds, storms, and things out of place, and no explanations for the unexplainable. We MUST read on. And yet, it’s terrific fun ripping through the pages as fast as you can possibly read to find out WHAT IS HAPPENING! So, ‘fear’ and ‘fun’––how did you balance the two? Kat – I am a former teacher, so I thought a lot about how readers read, and what drives even the most reluctant reader to stick with a book. Short chapters and cliffhangers keep kids turning pages. We speed up our reading for exciting or suspenseful parts, and we slow down for parts with lots of description or exposition. So for those spooky moments I had to intentionally slow the pace to draw out those creepy chills. Much of my storytelling background came from working as a freelance script reader in Hollywood, so everything I write I try to pace the way I would want to see it on screen. It was also really important to me to write “safe scares.” I wanted readers to have a great ride full of thrills and chills, but I also wanted them to have moments of relief, lightness, and fun. Partly because the contrast makes for a better thrill when something spooky happens, but partly because we need those moments of silly fun to relieve the tension. I also tried to create times when you could stop reading for the night and still be able to fall asleep! At the end of the day, my hope is for the books to feel like a safe place where kids could explore being scared and overcome those fears, knowing that everything would turn out okay. Anna– Best news of all for readers, Babysitting Nightmares: Shadow Hand is the FIRST in a series! Without giving anything away, where will you take us next? Kat – Book 2 is called The Phantom Hour, and it stars Rebecca’s friend, Clio. Clio loves history, and she is thrilled when her latest babysitting gig takes her to a fascinating old mansion that had been vacant for years before the new family moved in. But when supernatural events begin threatening Clio and her friends, they realize the only way they can save the family is by unlocking the house’s secret past. The story has a lot of twists and turns, and it also introduces a new character into the mix. It comes out January 29, 2019, and the ARCs are heading to the printers as we speak. I just turned in Book 3 as well, so we’ll see what it looks like after revisions are done! 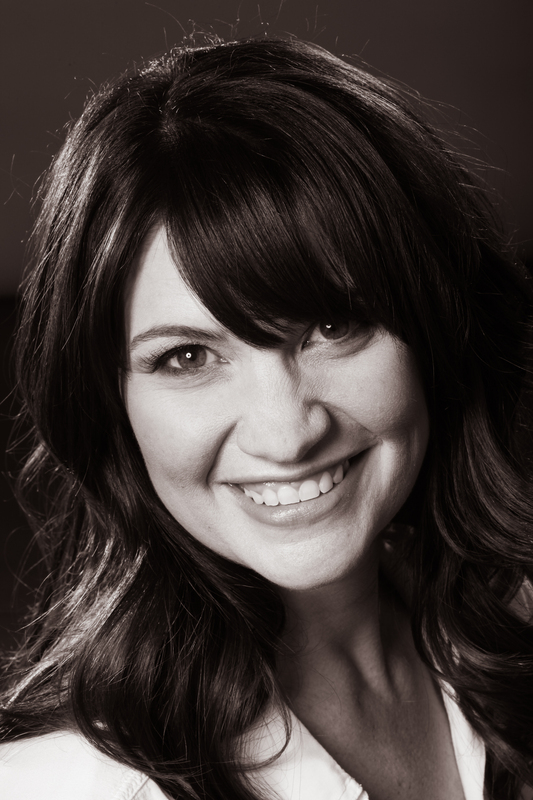 Anna– I love the science pop culture references like NdGT, shorthand for my favorite astrophysicist. Are you a huge science fan and what was it like sprinkling fun references into the pages of your book? And what inspired you to add so much texture to the story with these fun tidbits? Kat – I do love science, although I love math even more. (I could do algebra all day!) I’ve always been really interested in biology and chemistry, and I read a lot of nonfiction books about science, math, and history. Right now I’m reading The Disappearing Spoon, which is all about the periodic table. I’ve written science curriculum, and I used to oversee the fifth grade science fair at the last school where I taught. I loved helping kids design controlled experiments and thinking about variables and how to correct for them. So I thought about how if I might approach the supernatural from that perspective. I’ve always loved researching stuff, and part of the pleasure of writing is that it’s so much fun to actually use all of that random information I’ve collected over the years! I’m a huge NdGT fan, too; my husband even took me to see him one year for my birthday! Anna– I love your main character, Rebecca. Her thought process is so interesting and informed and empowered. For one, the stakes are high. She’s babysitting this cherub she adores. And she has to figure out what is going on. And here is where she really becomes interesting to me because she is going back in forth in analyzing science-based possibilities, and paranormal. And her ability to navigate both worlds as she reasons is sooooo cool. Tell me how that came to be. 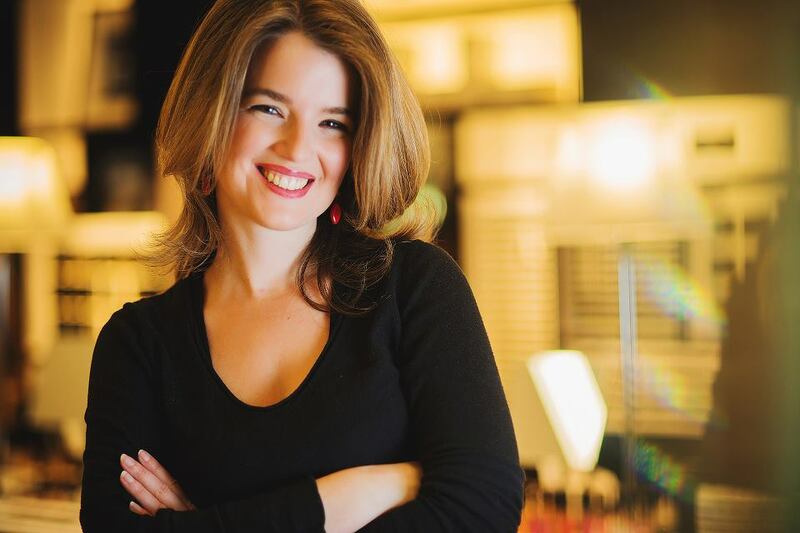 Why you decided to give her that kind of agency and smarts! 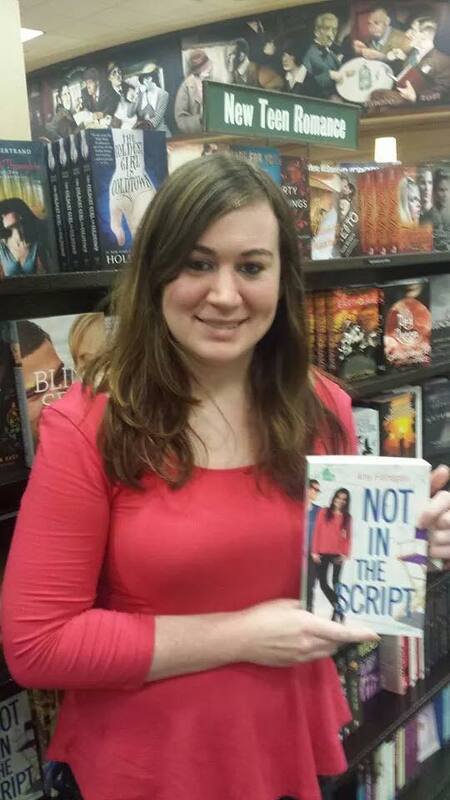 Kat – All of my characters are based in some part on people I know, especially kids I have taught. There is a certainly a lot of me in Rebecca, in that I love to organize and plan and feel in control; when I take the babysittingnightmares.com personality test, I always come out like 100% Rebecca! But for the rest of her I drew a lot from these confident, strong girls I have been fortunate enough to know and teach through the years. I also think Rebecca’s point of view is just as much a function of her age. Middle graders are in that sweet spot where they’re beginning to be educated and informed and form their own opinions, but they’re also still open to the possibilities of the world. They recognize that there’s a lot still left to know, so they don’t rule anything out yet. And I think that middle graders do have a lot of agency, probably a lot more than we often give them credit for. There are so many kids in the world that look around them and see problems that the adults in their lives can’t or won’t do anything to fix, and so those kids are stepping up and saying, “Well, I guess it’s on me, then.” Our country has an amazing generation of younger activists, like Mari Copeny, Asean Johnson, Marley Dias, and Sophie Cruz. All of these kids were making an impact on the world well before their thirteenth birthdays! Anna– Another really cool aspect of the story, is the friendship between Rebecca and her friends. Tell me what inspired you to create these kind of friendships between your characters. Kat – When I was a kid I loved reading horror and adventure and action, but it was my friendships that lay at the heart of my life. Friendships for me at that age were deep and powerful and complicated, and not always easy to navigate. With this series I knew I wanted it to be spooky and fun, but it was important to me to ground it in the relationship between the girls. And as with any relationship, when crisis arises it either brings people closer or pulls them apart, so I wanted to explore that a little, too. I think a lot about Elly Swartz’s wonderful book, Smart Cookie, which is all about finding your herd. These girls have found their herd, and they’re learning about what it means to really support one another. Nobody can do it alone. As the Emu Debuts celebrate Kat Shepherd‘s first book in her creeptastic BABYSITTING NIGHTMARES series, The Shadow Hand, I thought I’d tell a spooky tale of my own. But first, a bit of back story. I never did meet up with The Little Man, but I did experience something—or someone—strange when I was 15. It was an ordinary afternoon. I was in the kitchen having a cup of tea in with my mother and aunt. My baby sister Andrea was napping upstairs. No one else was home. We all heard the baby’s cry, and because I was closest to the stairs, I jumped up and said, “I’ll get her.” I remember listening to the sound as I climbed. It was a familiar “come get me” cry. There was nothing unusual about it, and I wasn’t at all concerned. But then something strange happened. The split-second I touched the doorknob—to my utter astonishment—the crying stopped. There was no sound coming from inside the bedroom. Although we had heard the crying downstairs in the kitchen, the upstairs hallway was now silent. I hesitated but knew I needed to check on the baby. I turned the doorknob and eased the door open. Typically, little Andrea awoke from naps drenched in sweat. She’d fling her blanket off, stand up in the crib, and cry until someone came for her. This time, I tiptoed across the dim room, and peered into the crib to find her curled up, cool as a cucumber, and deeply asleep. I was mystified. There was simply no way this peaceful toddler had been crying a moment ago. I didn’t want to wake her, so I tiptoed out, shut the door, and headed back downstairs. When I entered the kitchen with empty arms, my mother and aunt looked at me curiously. 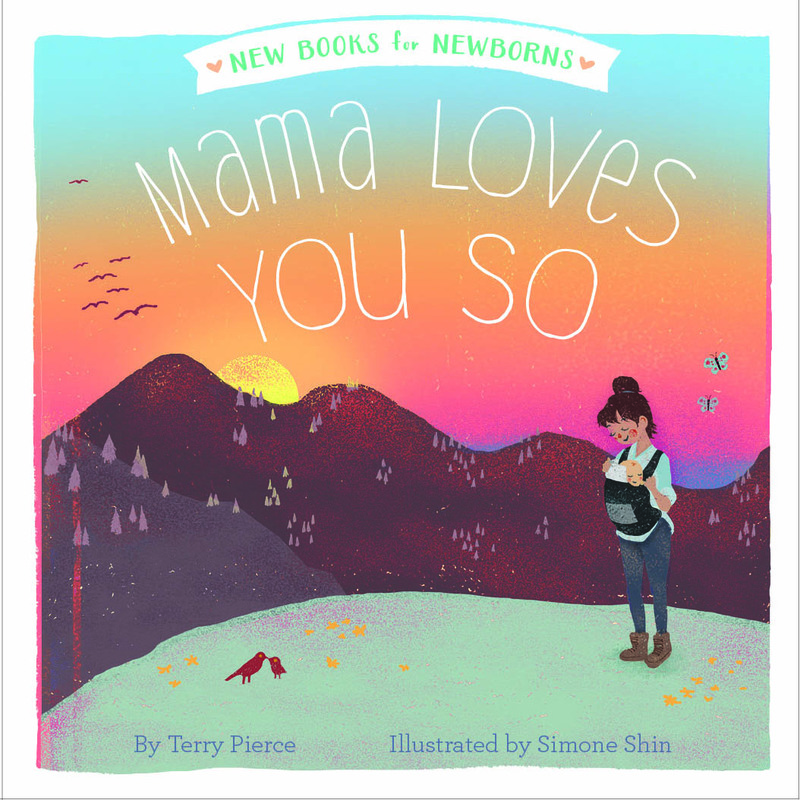 Without hesitation, Mom exclaimed, “You heard it this time!” Over the years, and well before the arrival of Andrea, I’d listened to stories about a mysterious baby cry heard in our house. It usually happened the middle of the night. Once, both of my parents heard it so clearly they went outside and searched the yard with flashlights, searching for an abandoned baby. Yes, I had encountered The Baby Who Wasn’t There. I hope this real-life babysitting nightmare whets your appetite for more shivery stories and exciting adventures from Kat’s BABYSITTING NIGHTMARES series. Start now with The Shadow Hand, and visit the series website for fun crafts, quizzes, and more paranormal pastimes. The next two books in the series, The Phantom Hour and The Ghost Light, will be available in 2019. 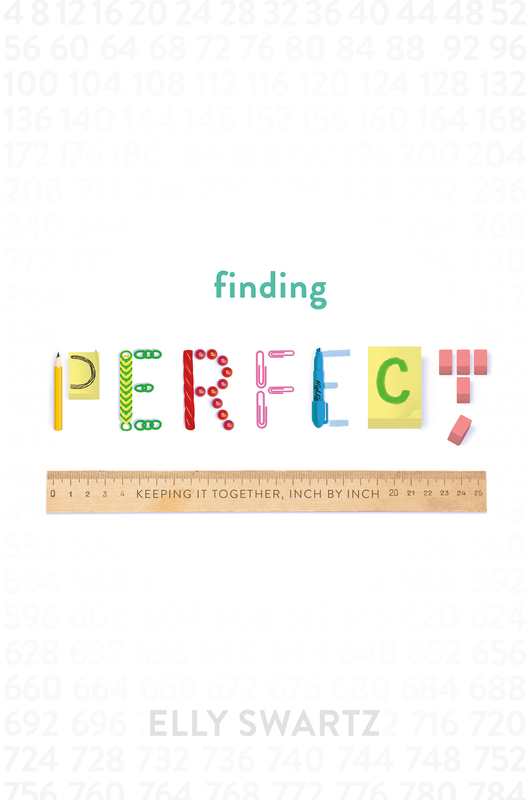 Kat Shepherd has been a teacher, and she knows just the kind of book that students are going to gobble up like candy. This book has been described as The Babysitters’ Club meets Goosebumps, and now that I’ve read it, I can say that that is spot on. 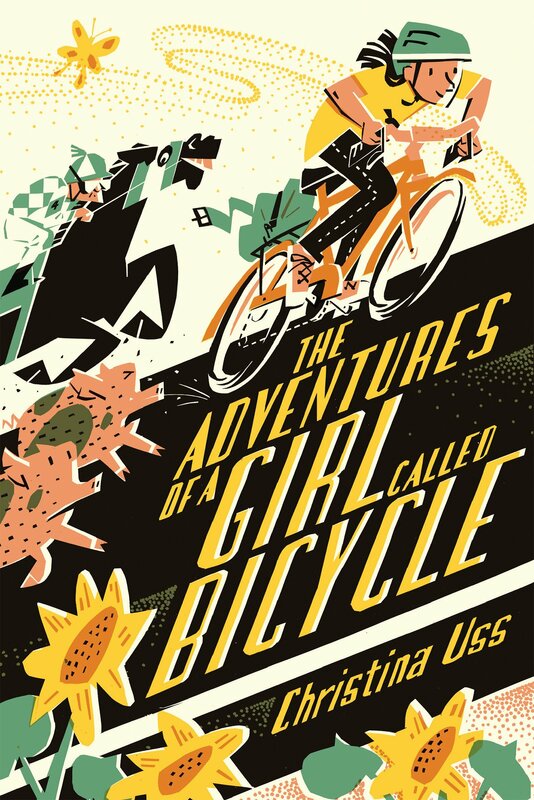 This is a book with the relatability of the Babysitters’ Club characters with the page-turning thrill of Goosebumps. It’s spooky in just the right ways, and it will appeal to all kinds of readers. 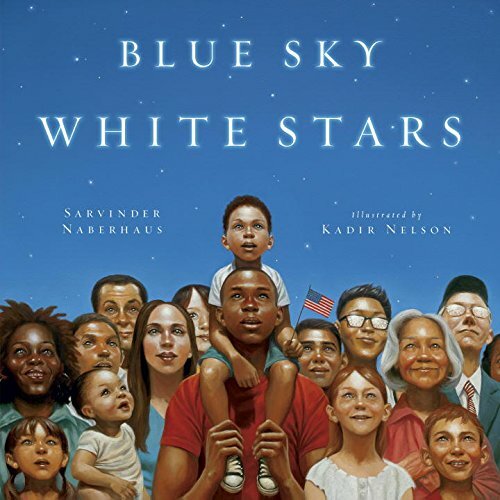 This is a book that you’ll want to have in your classroom library––and once you do, you’ll never see it because it will just go from one student to another. 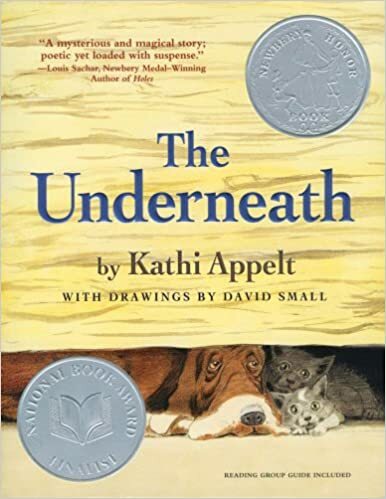 Based on her experience as a teacher, Kat has written about the importance of giving kids the freedom to choose what to read. “To create more joyful, enriching reading experiences in our middle-grade classrooms,” Kat writes, “we have to do one very important thing: We have to trust our readers.” Kat even has a page for teachers on her website that includes some of the strategies she used to build a community of readers in her classroom. 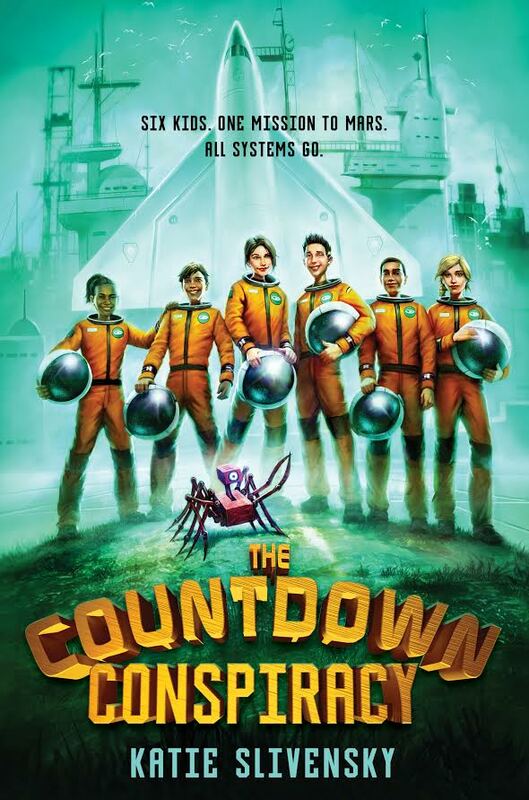 This is a book that will have readers counting the months for the next book in the series. 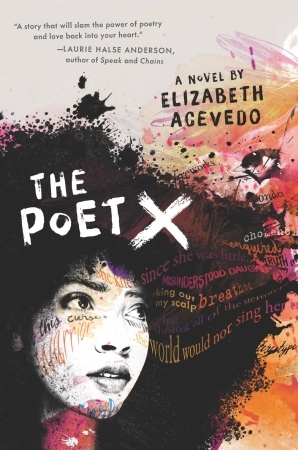 This is a book that will make sure students discover their love of reading. You can buy it here, here, or here right now! 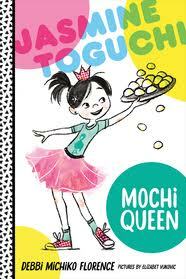 And then tomorrow, you can sit back, feeling accomplished that this fun book is headed your way! 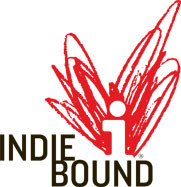 Filed under Celebrations, Launch, middle grade, Uncategorized, Updates on our Books! It’s 169 days until LOST BOYS is let loose to find it’s way in the world and into children’s hands. I recently got to meet my team at Henry Holt and confirmed what I’d been feeling over the last approximately 380 days we’ve been working together – I am lucky to be in their hands. Let me tell you people – there is nothing like walking through hall after hall of shiny bookcases filled with pretty children’s books and knowing yours is going to be there soon. It’s been approximately 660 days since that champagne cloud of a day when the book sold, so you can imagine Launch Day brings equal parts elation and abject dread. I’m a juggler struggling to keep a large bowling pin, an apple and a chain saw in the air. Are we all done with edits? How will the book be viewed in this political climate? When shall I start the ARC tour? Is the website done? Have I thanked my new followers on Twitter? Am I getting new followers on Twitter? Have I booked my launch? And OMG – is the laundry done? And in among that avalanche of questions is maybe the most crucial one. How is that work in progress – the next book? On this bright Monday morning I’m feeling good. I’ve finally jettisoned all those characters and scenes that weren’t serving my story and the path forward is clear. But Oh Lordy! Finding the headspace to give it the attention it deserves is not easy. That pure writing time is precious and dear and so different from the twirling tornado that is my everyday. So my friends, thank you for listening as I pledge to carve out time in the eye of my storm and hold in my sights an empty space on that shiny bookcase. 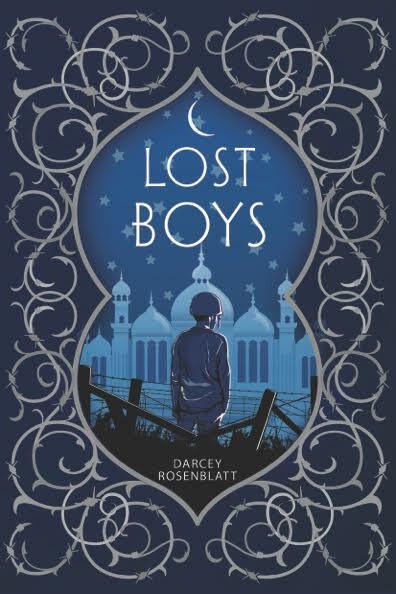 Darcey Rosenblatt’s debut novel will be published by Henry Holt/MacMillan in August 2017. LOST BOYS, an historic fiction, tells the story of a 12-year old Iranian boy sent to fight in the Iran Iraq war in 1982. With her critique group she runs the Better Books Workshop – an annual small deep craft conference held in Northern California. She lives in the San Francisco Bay Area with her fabulous husband and daughter, some fish, and the best dog in the world. By day she is an environmental planner and when time permits she paints and dances. 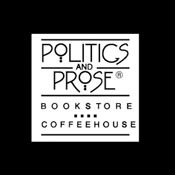 Filed under Book Launch, Uncategorized, Updates on our Books! Emus love dogs, especially literary ones! It’s easy to see that we Emus love books, and you may have figured out by now that many of us love dogs, too, so what could possibly be better than combining the two? To continue this week’s celebration of Maria Gianferrari’s Penny & Jelly: The School Show, which released yesterday, here is a collection of our favorite dogs from literature. Woof! 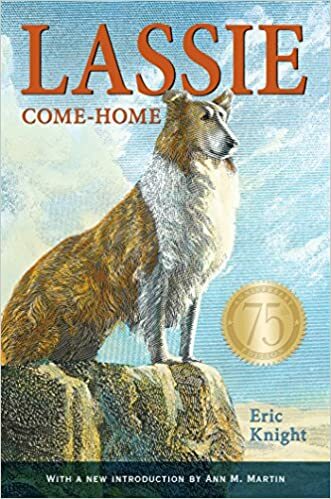 I’m a sucker for Lassie, not the television one (okay, that one, too), but the dog in Lassie Come Home written in 1940 by Eric Knight. I read it when I was about 10, nice and hefty, around 270-300 pages? Something like that. I absolutely lived in that book. Toto from The Wizard of Oz. 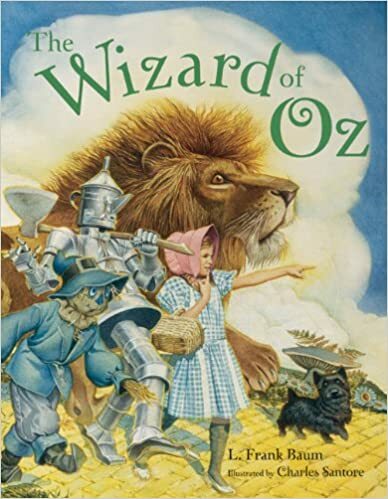 “I’ll get you, my pretty, and your little dog, too!” I worried about him through the whole movie even though was feisty and brave and revealed that the Wizard of Oz was not a wizard at all. 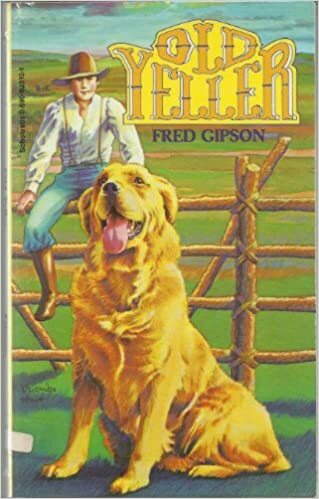 Hands down, my fave literary dogs were Old Yeller, and Old Dan and Little Ann from Where The Red Fern Grows. As a kid, I read each book a billion times. 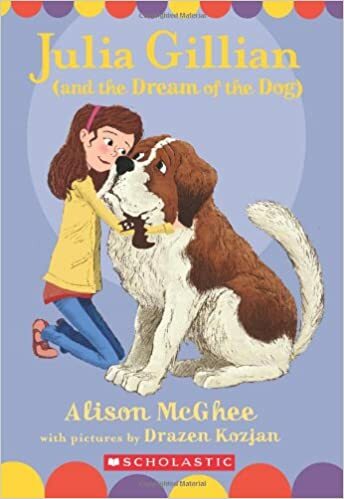 More than the actual plots (which would be questionable by today’s standards,) I was so enamored by the dogs’ personalities and with the bond between boy and dog(s). As an avid Harry Potter fan, I’ve got to go with Hagrid’s dog Fang. I love that he’s huge, and his name is fierce, but he’s really just a lovable, slobbering coward who runs from the fight – unless he’s protecting Hagrid, in which case, he’ll take a Stunning Spell to defend his big best friend. I’m always amused by Hagrid’s dogs–Fang and Fluffy (aka Cerebus). I also love Winn-Dixie because you’ve gotta love a dog who can smile. Ranger, the kind old bloodhound from Kathi Appelt’s THE UNDERNEATH. So inherently good and true, as literary dogs should be. Winn Dixie. He helps India Opal negotiate the tricky business of moving to a new town and making friends in unlikely places. Plus he can smile so hard it makes him sneeze. Both my daughters and I are madly in love with Bigfoot, from Alison McGhee’s JULIA GILLIAN series. According to Julia, they can telepathically communicate! Too awesome! Bigfoot is the quintessential big-hearted canine best friend. And, of course, we wouldn’t forget the picture books! 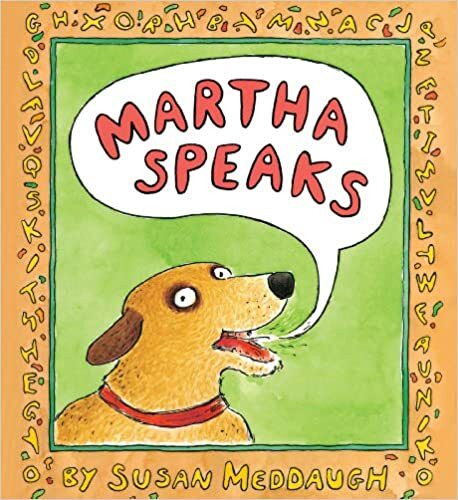 My favorite literary dog is Martha from MARTHA SPEAKS by Susan Meddaugh. I remember how much I loved reading that book to my son! I love the adorable dog named Hondo from Peter McCarty’s picture book, HONDO AND FABIAN. 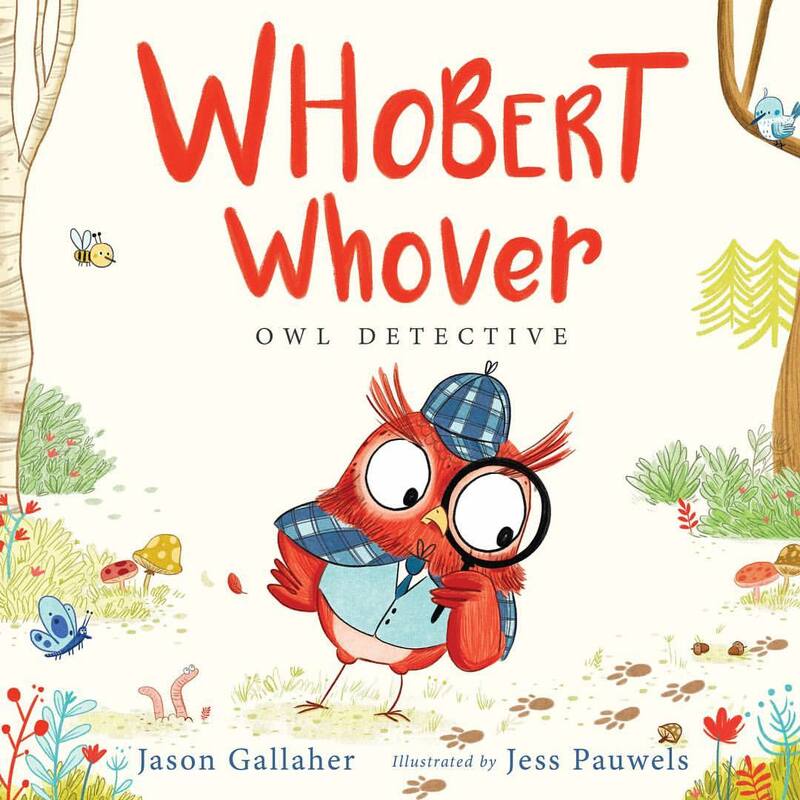 The story is simple and sweet, but it’s the art I adore–it gives off a warm, cozy glow that makes me want to curl up in front of a fire with a favorite book! I was moved by a graphic novel I read recently about Laika, the first dog in space. It was terribly sad though. I read the Plague Dogs years ago and enjoyed it but don’t remember the two dogs’ names. 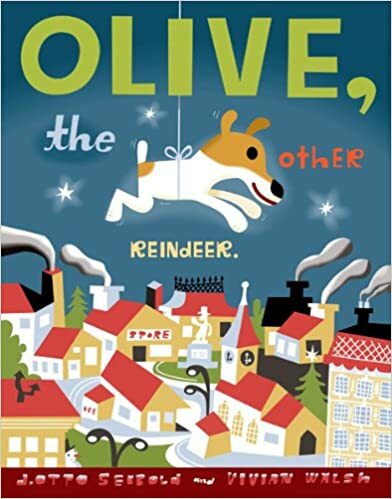 Brian from Family Guy probably wouldn’t count, so I’ll go with Olive from Olive the Other Reindeer. I always loved Clifford the Big Red Dog when I was little. I remember being especially fond of the illustrations and drawing (or trying to draw) Clifford again and again. I went through a lot of red crayons. 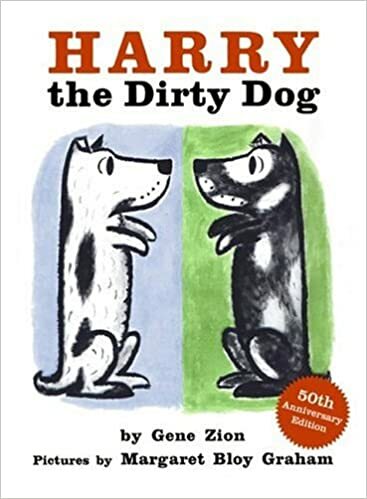 Harry the Dirty Dog was one of my favorite books as a child, and it still is. I just love his transformation from a white dog with black spots to a black dog with white spots! And, of course, I love the happy ending. 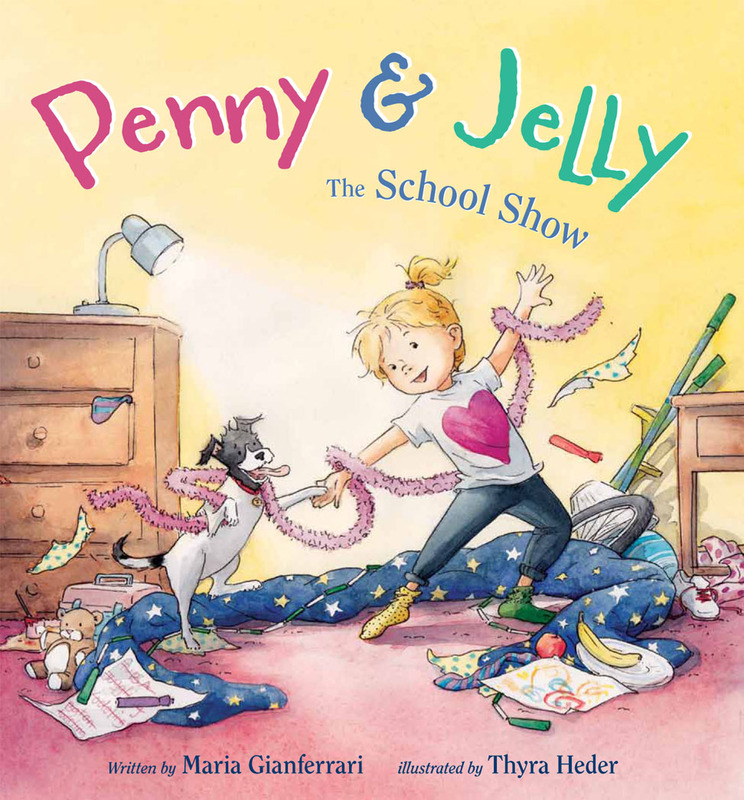 Penny & Jelly author and fellow Emu Maria Gianferrari shared some of her favorites, too, as well as those of Penny and Jelly themselves! Dismay (from Each Little Bird That Sings), and Rain (from Reign Rain). Penny’s favorites are Winn Dixie, Hound (from the Penderwicks), and HMS Beagle (from Susan Patron’s Lucky books). Jelly’s favorites are Gaston, Daisy (from A Ball for Daisy), and Hachiko. Also available as an eBook in several of these locations, and at iBooks and Kobo. 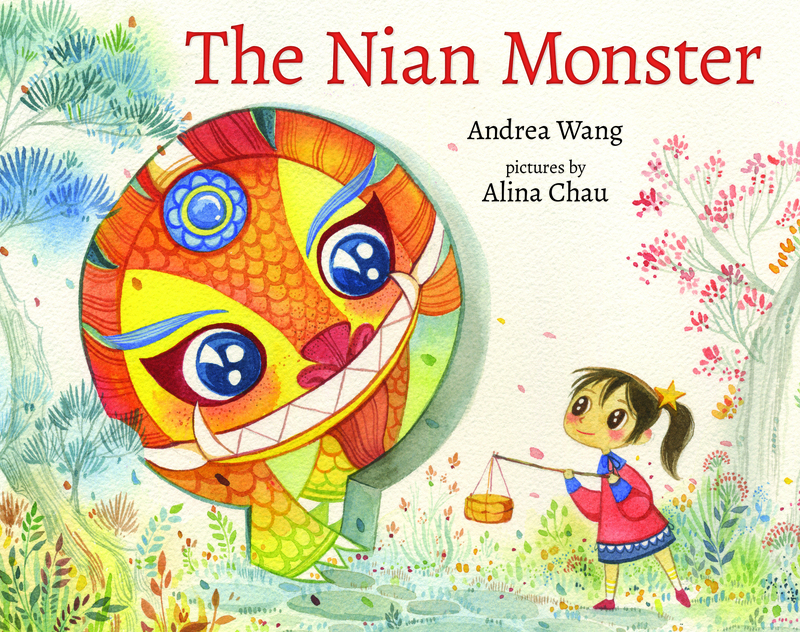 Filed under Book Giveaway, Book Launch, Celebrations, Picture books, Updates on our Books! 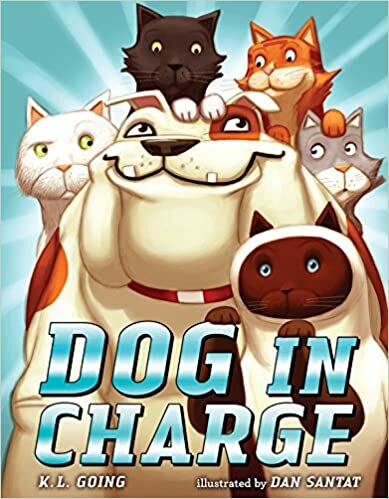 Tagged as dogs, launch, Maria Gianferrari, party, Penny & Jelly, Release! TALKER 25 Launch Party Kickoff with Agent Ammi-Joan Paquette AND a Giveaway (or more)! We Emus are thrilled to be kicking off the week-long launch party for Talker 25 by Joshua McCune. 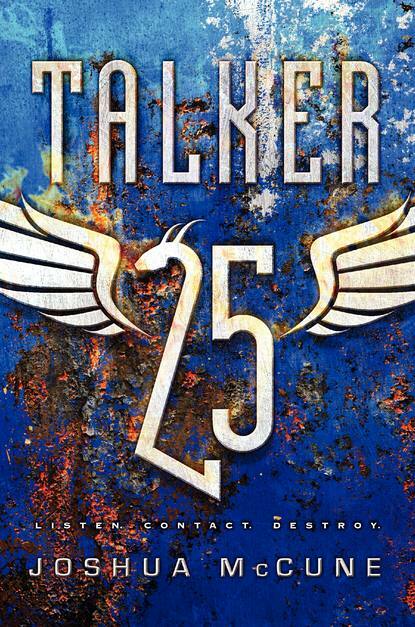 Talker 25 is an intense, action-packed YA fantasy set in a not-too-distant future where dragon wars have shaped society. It’s a high school prank gone horribly wrong-sneaking onto the rez to pose next to a sleeping dragon-and now senior Melissa Callahan has become an unsuspecting pawn in a war between Man and Monster, between family and friends and the dragons she has despised her whole life. Chilling, epic, and wholly original, this debut novel imagines a North America where dragons are kept on reservations, where strict blackout rules are obeyed no matter the cost, where the highly weaponized military operates in chilling secret, and where a gruesome television show called Kissing Dragons unites the population. To celebrate the launch of Talker 25, we have all sorts of goodies and interviews and dragon fun planned for the week. Not to mention giveaways! Comment on any post this week, Monday thru Thursday, to be entered to win a signed hardback copy. The winner will be announced on Friday. And there will be more giveaway goodness to come this week, so make sure to check back for additional opportunities to score your own copy. Talker 25 is available everywhere tomorrow, April 22, but to hold you over until then we asked Josh’s agent, Ammi-Joan Paqutte, a few questions about working with him and Talker 25. How did you come to represent Josh? AMMI-JOAN PAQUETTE: I first discovered Josh’s work when I was browsing online and discovered the first line of his novel, which was then called Kissing Dragons: “When Trish called and invited me to go dragon hunting, I should have trusted my instincts.” Wow! Between the title and the first line, I was more than intrigued. I visited Josh’s website and knew I had to read on further. I sent him an email, and eventually received his manuscript to consider. What was it about Talker 25 that grabbed your attention? AMMI-JOAN PAQUETTE: What captivated me about the manuscript right from the start was the fresh approach to dragon mythology, and the way an alternate history (dragons vs. humanity) was seamlessly woven into the narrative. In addition, Melissa was a dynamic character that I believed in immediately and wanted to get to know better. I’ve always been a sucker for stories about good people who overcome terrible odds and go on to do great things, and this story hit all the right notes for me. If you were a dragon, what would type of dragon would you be? AMMI-JOAN PAQUETTE: Only that if you haven’t yet stopped by Josh’s website, you should head over there right now: http://www.joshua-mccune.com/#!news-and-events/c1pz and check out the incredible book trailer! Talker 25 is an incredibly immersive and moving book, and one that you won’t regret reading. You can find Talker 25 online at Indiebound, Amazon, BN.com, or at your local bookstore. Filed under Book Promotion, Celebrations, Interviews, Launch, Updates on our Books! Pat’s post hit a chord with me. I’m in the prepare-to-prepare stage leading up to my 2015 debut. Trying to forecast promotional efforts in the months leading up to the launch. And, hoping my book is cherished as much as Sophie and Bernice. First, I’m reflecting on the surprising angst that followed my book contract. The angst of letting go. See, I love the inventive stage of writing. Don’t get me wrong, writing is damn hard. But, I love that evolving sense of possibility when worlds and characters spin out of thin air and land as words on the page. Imagination is magic. Even in nonfiction. From the moment I began writing my debut, STEP RIGHT UP: THE STORY OF BEAUTIFUL JIM KEY, I occupied the story. All writers do this. Before we can add depth and motion to our words, writers visualize until our stories unfold movie-like on the big screen of our mind. We are all eager to control the script and staging. We like telling our characters what to do, what to wear, how to stand. If we can’t visualize it, we can’t write it. 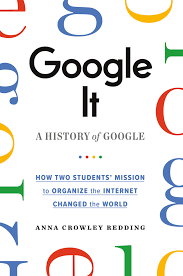 In the case of nonfiction, it’s about telling the truth and filling in gaps. Sometimes, that means converting 125-year-old images from two-dimensional, dingy black and white to Technicolor. In panorama. And in 3D. While writing, the world on the page is mine, mine, mine! I am in control. Mwahahaha! My editor had suggestions on STEP RIGHT UP. Lots of them. Some of her suggestions were that I undo some of her suggestions. Add, cut, expand, simplify, redirect, rinse, repeat… In a way, my story became a collaboration. But, as the word weaver, I still felt a sense of control. Sort of. I am in awe of artists who can press “copy” on their mental printers and, voila! They sketch, sculp, paint, and pixelate their visual imaginings for all the world to see. More magic! So, I was surprised to be so full of angst as I awaited the illustrator reveal. Seriously, y’all. Angst! And worry. And maybe a tiny speck of panic. An illustrator will have his/her own visual interpretation. Their own image of the world Doc and Jim lived in. Their own tinted lens through which the mental movie plays for them. Aaaaack! I found myself playing the “What-if” game. What if the illustrator can’t capture Doc and Jim as I see them? What if his/her art is too silly, too serious, too dark, too light, too cartoony, too portraity, too realistic, too unrealistic? Thankfully, I can be confident that an illustrator will do better. But letting go is hard. As I peruse the books on my shelf, I’m reminded that it takes many creative perspectives to create visually stunning and memorable stories. Magic multiplied. Now, I find that my illustrator angst has given way to excitement. The kind of excitement I felt, not knowing what kind of wonderfulness was wrapped under the Christmas tree. There is a childlike wonder in this anticipation. I’m ecstatic to announce that Coretta Scott King Honor recipient, Daniel Minter will bring Doc and Jim to life through his spectacular art. Better still, Daniel and I have been communicating. He would like my input. I think I’m in heaven. Check out his work, y’all. My little book baby is in very good hands. Filed under Anxiety, Illustrators, Thankfulness, Updates on our Books! 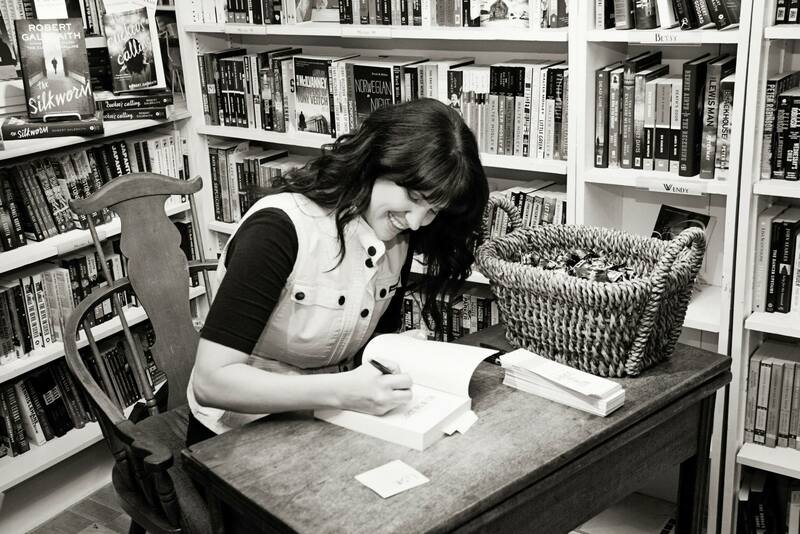 Landing an agent and selling your debut book isn’t THE hurdle. It’s THE FIRST hurdle. Not being in Barnes & Noble does make a difference in your book’s success, no matter how many well-meaning people try to assure you otherwise. Being in Barnes & Noble does not guarantee your book’s success. You will read reviews of your book that will leave you scratching your head, wondering if it’s really YOUR book the reviewer read. Just because you have thousands of social media followers doesn’t mean they’ll actually buy your book. Just because you publish a book with Simon & Schuster doesn’t mean people who schedule author appearances will want you. You’re still just small potatoes. Think fingerling instead of Idaho. 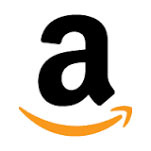 You’ll check your Amazon ranking more often than you care to admit and you’ll cringe every time it goes over 100,000. OK, maybe all that is a little too depressing. But c’mon guys, this stuff is HARD. This is not an easy business. I knew this when I was trying to break in, but somehow I thought once I did break in, everything afterwards would be a breeze—a warm, tropical breeze with notes of pineapple and coconut. WRONG. There’s no pool-boy fluttering a giant leaf fan. 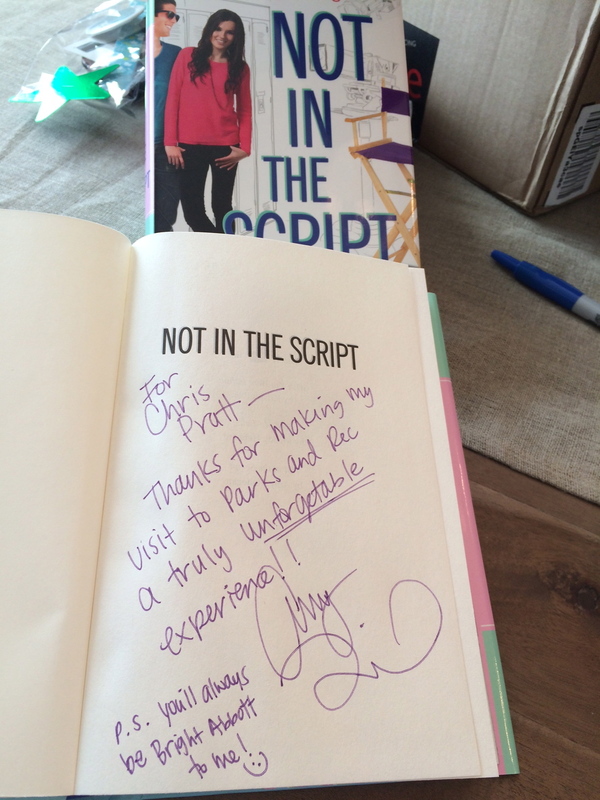 Subsequent books have taken MONTHS to sell…and one took AN ENTIRE YEAR! And I have more in the works that are likewise taking months. And there were even more books that didn’t sell at all. Phhht. Dead in the water. And no pool-boy to fish them out! But let’s look on the bright side. I’m an AUTHOR now! Woo! All the terribly exciting moments along the journey—seeing my characters for the first time, witnessing the progress of the dummies, revealing the cover, hearing the satisfying KA-THUNK of the author copies box hit the front porch, signing my very first book for a complete stranger. Holding MY BOOK in MY HANDS. Making incredible friends—my editor and art director, my illustrator, the imprint staff, fellow debut authors, booksellers, librarians and fans. Gaining a lot of publishing business wisdom. People sending me photos of the book spotted in the wild, face-out at bookstores. Receiving my first pieces of fan mail. Seeing kids interact with my book and the joy it brings them. And there’s things I’m going to love that haven’t even happened yet! This weekend I’ll be at the Princeton Children’s Book Festival and the weekend after, The Baltimore Book Festival. I’ve been going to the Princeton festival for years and can’t believe I will be there signing books! Me! And Baltimore! I’ll be on a stage! On a panel! And people will want to hear what I have to say! BUT WHY?! After all, I’m still just Tara, wife of Alan for the past 14 years (today’s my anniversary! OMG! I almost forgot! ), mother of two girls who find me terribly embarrassing, and neighbor who you’ll find scootering her kids to school while wearing ninja jammies. (That explains the embarrassment.) I’m still the same person I was before the book contract. I haven’t transformed into a sophisticated, radiant being. I lose socks in the laundry, forget to RSVP to birthday parties, and schlep to the grocery store with yesterday’s makeup smeared under my eyes. There are holes in my couches, too much junk piled in my garage and questionable looks when I drop off my kids wearing ninja jammies for the third day in a row. But how cool that I can be my same dorky self and share my dorkiness with children through my books! Hopefully I’ll gain fans who will want every one of my releases and will never know me as un-radiant. To them, I sparkle. And so I leave you with this: it’s a wild journey, but I wouldn’t want it any other way. The dream was to sell one book, and that dream came true, so a new dream has replaced it. That dream is bigger, brighter and more daring. Will it come true? I dunno. Stay tuned. P.S. It’s not farewell forever, just at Emu’s. You can still follow me and my jammies at taralazar.com. P.P.S. Photoshopping by the talented illustrator Kayla Skogh. Thanks, Kayla! Filed under Farewell, Updates on our Books! And now… introducing… RADIO GIRL! Guess what, folks — that’s right — we have another book launch to celebrate here on Emu’s Debuts. So, put on your party hats, throw some confetti into the air, and join the fun all week long as we welcome Carol Brendler’s RADIO GIRL into the world! Carol isn’t technically a debut author. She already has a delightful picture book (WINNIE FINN, WORM FARMER), but RADIO GIRL is her first novel. Since that’s an entirely different experience, we’re thrilled she agreed to join us for her second debut journey! To get you in the mood for the upcoming RADIO GIRL extravaganza we’ve got planned for you this week, though, you should take the time to go back and read Carol’s post about the story behind the RADIO GIRL story, here. Then, read this great interview to find out more about Carol, including her advice for aspiring authors. Plus, Carol and fellow EMLA author Trent Reedy did a fun video interview here. And, watch for Carol on DEAR TEEN ME on Wednesday! Finally, one lucky reader will win a signed copy of RADIO GIRL! Just comment on any of this week’s launch party posts (including this one). The winner will be announced next Monday. Good luck! 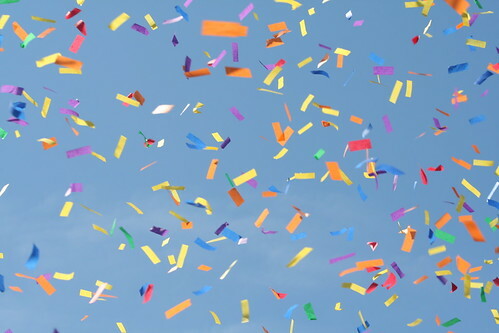 Filed under Celebrations, Happiness, Updates on our Books! Well, 6 weeks post book-launch and it would normally be time to wipe down the counters, flip over the barstools and tell the person knocking outside, “Sorry, we’re closed.” Tara has left the building. Yep, I’m sticking around. Keep the stool on the corner warm for me. I realized some of the most interesting debut experiences have happened to me post-launch. So why depart now? This is stuff that’s rarely discussed. 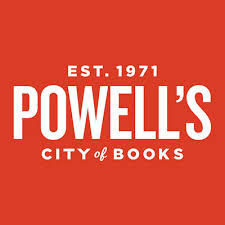 Like a corporate dispute between your publisher and America’s sole remaining national book chain which keeps your book out of the brick-and-mortar shops. Like your own child’s school declining your offer of a free school visit. Like your daughter’s name being misspelled in the dedication. Like most bookstores wanting you to appear in October because your book has Halloween appeal, yet very few wanting you NOW, when early sales are crucial to momentum. BUT, there’s also the really cool stuff. Like bookstores tweeting pictures of children drawing the monsters they’d like to buy at THE MONSTORE. Like receiving fan mail from 22 kids at a summer writing camp, after using the first page of your book as their favorite writing prompt. Like Skyping with classrooms across the country…in your jammies. Like complete strangers showing up to your very first book signing. Even the town mayor. Like being on a radio show! Like people reviewing your book on blogs, Amazon and GoodReads, saying they love your book. Yes, these things make you feel all warm and fuzzy, like an evening at a place where everybody knows your name. So I’ll be here for a while longer. And let’s make this blog post interactive, shall we? Ask me anything about my post-book-launch experiences and I’ll be happy to oblige. Filed under Book Promotion, Book signing, Updates on our Books!